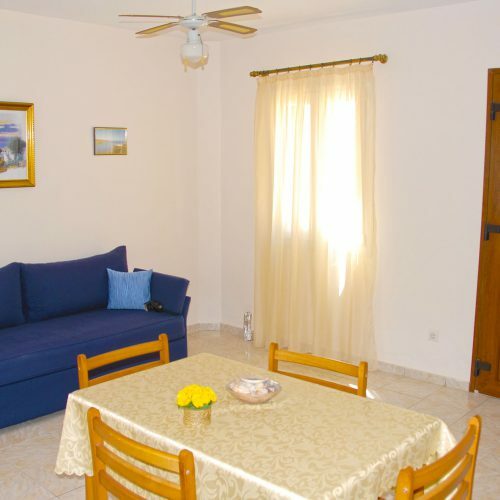 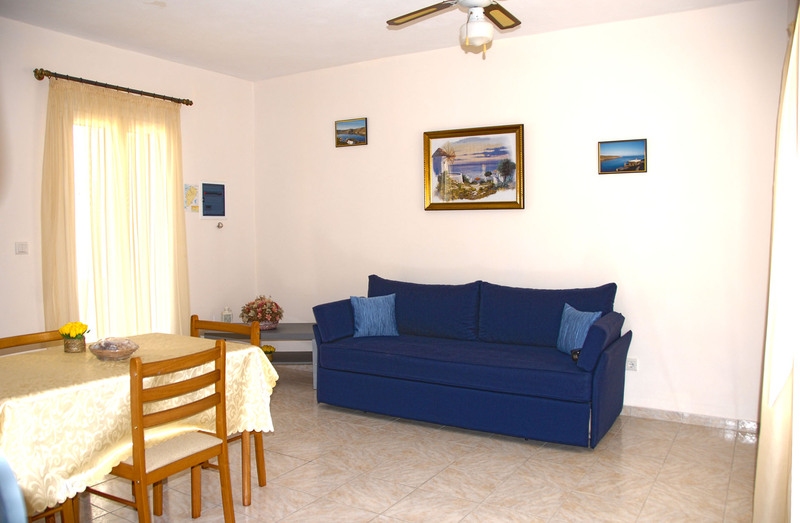 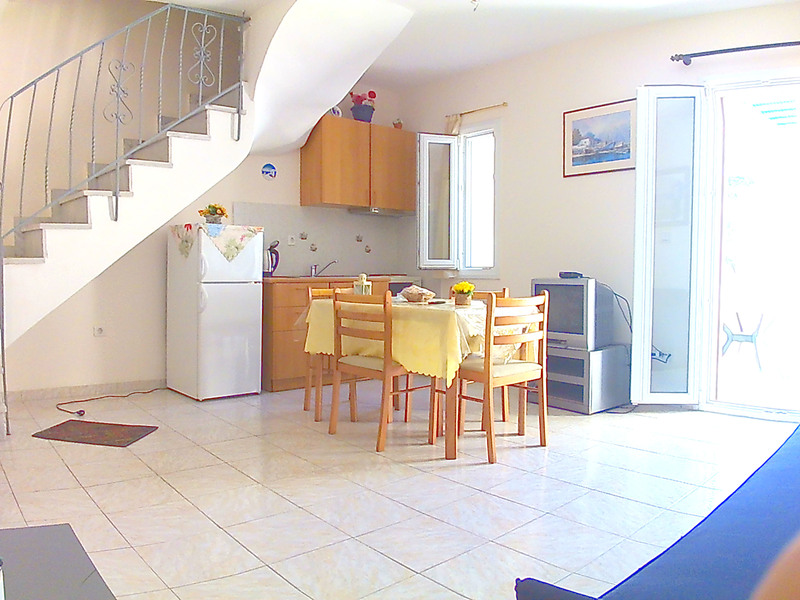 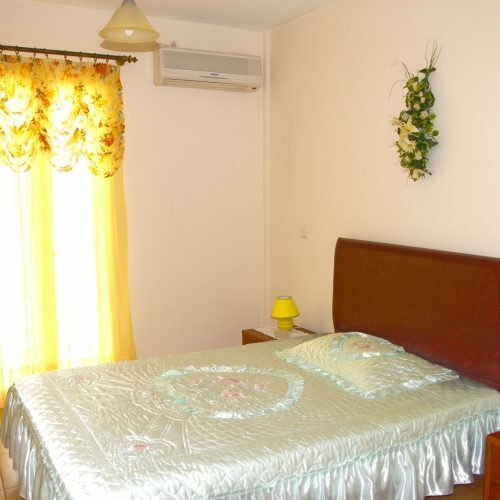 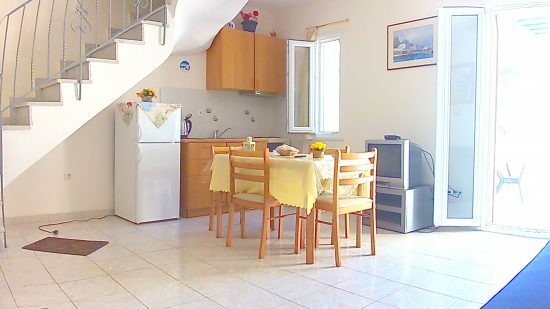 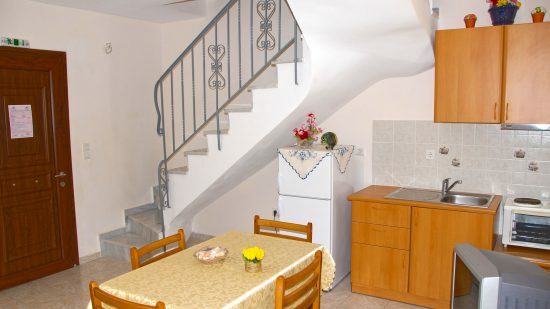 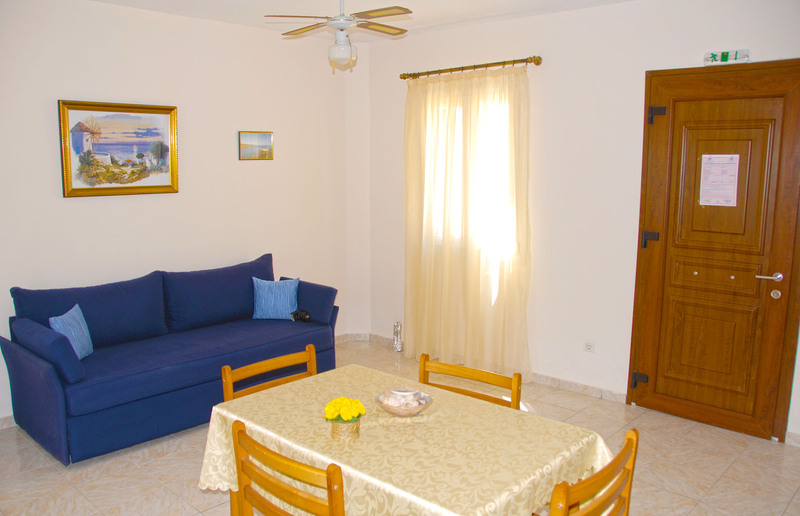 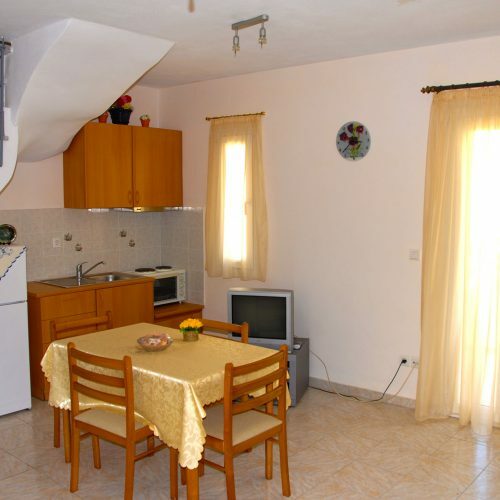 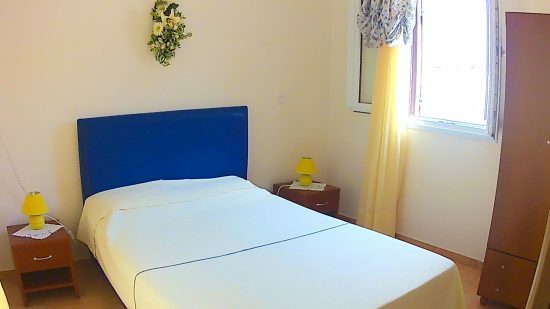 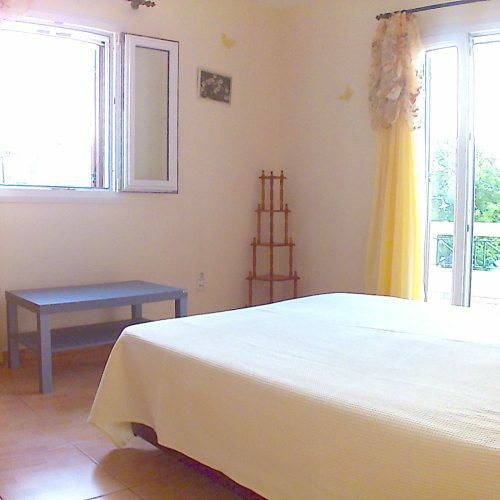 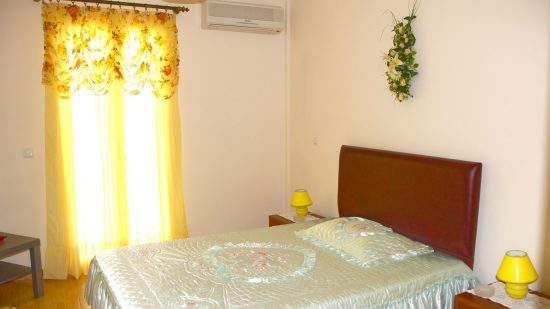 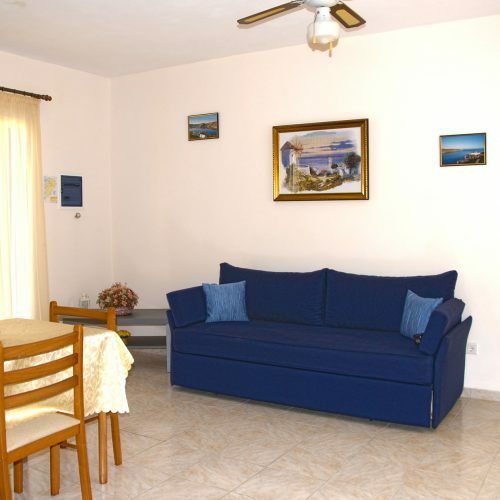 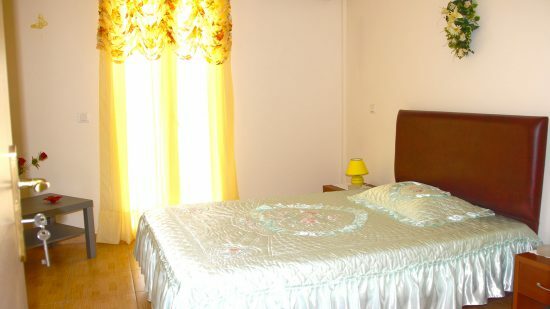 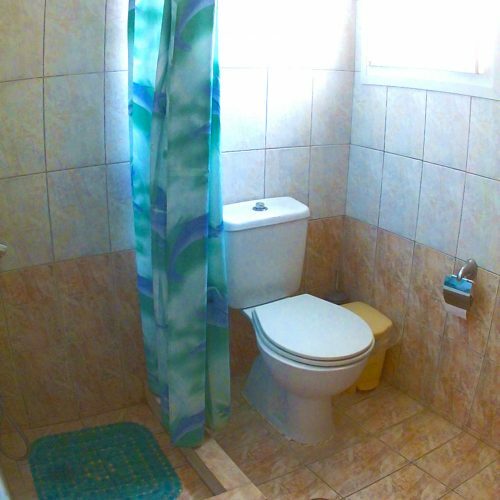 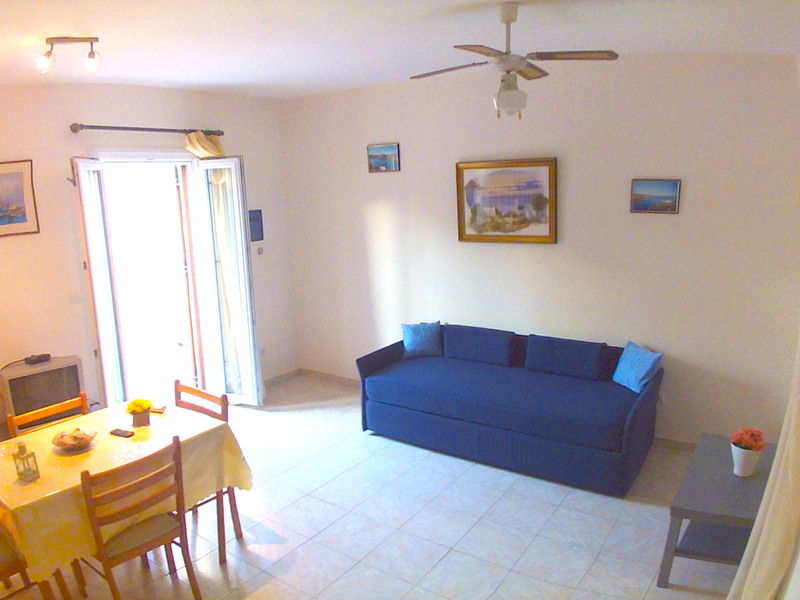 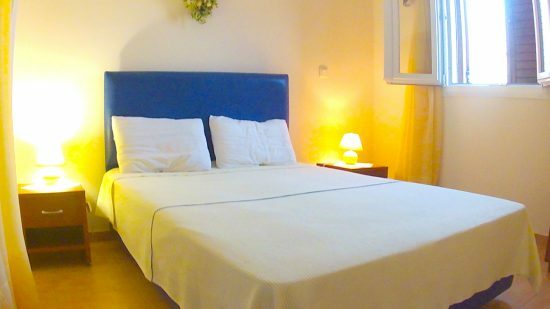 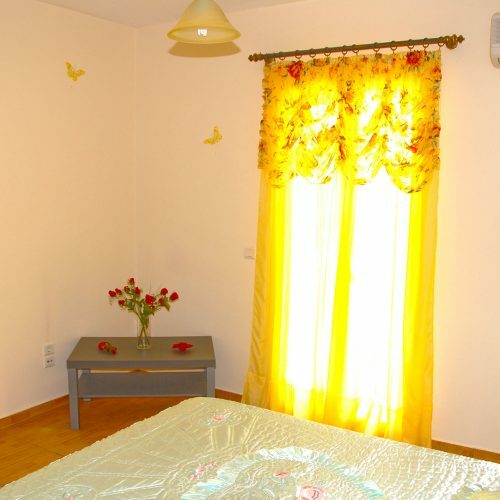 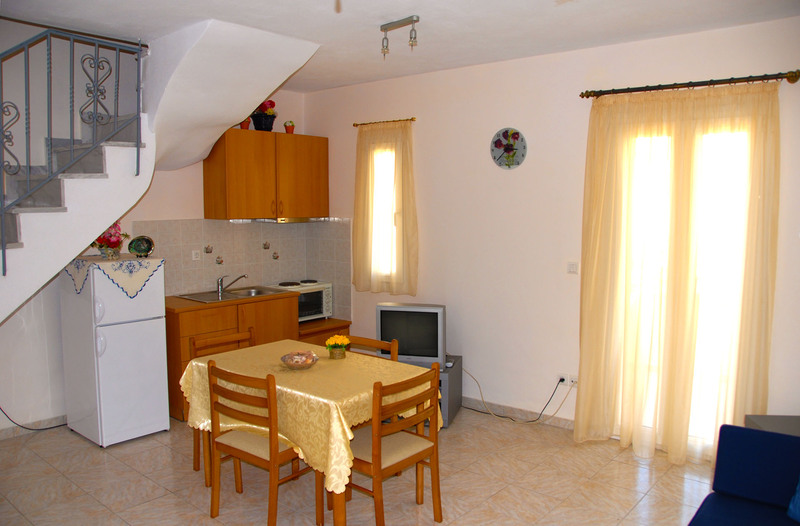 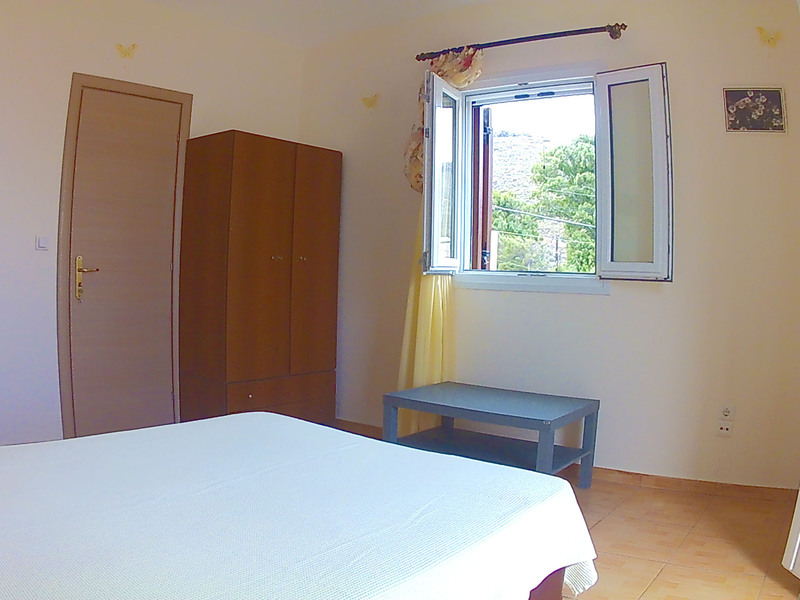 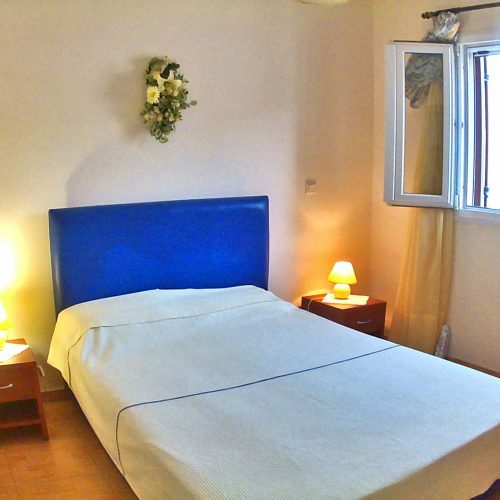 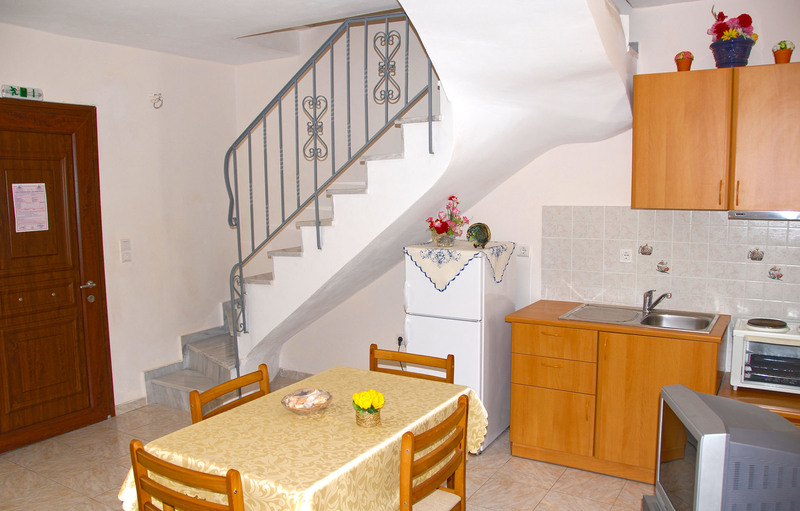 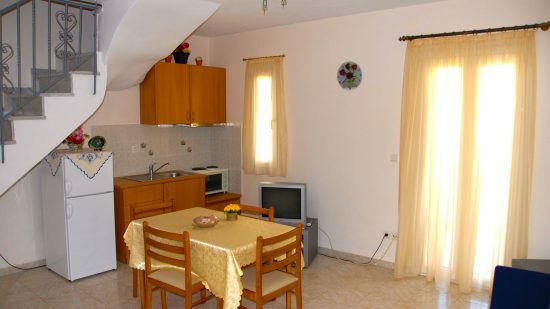 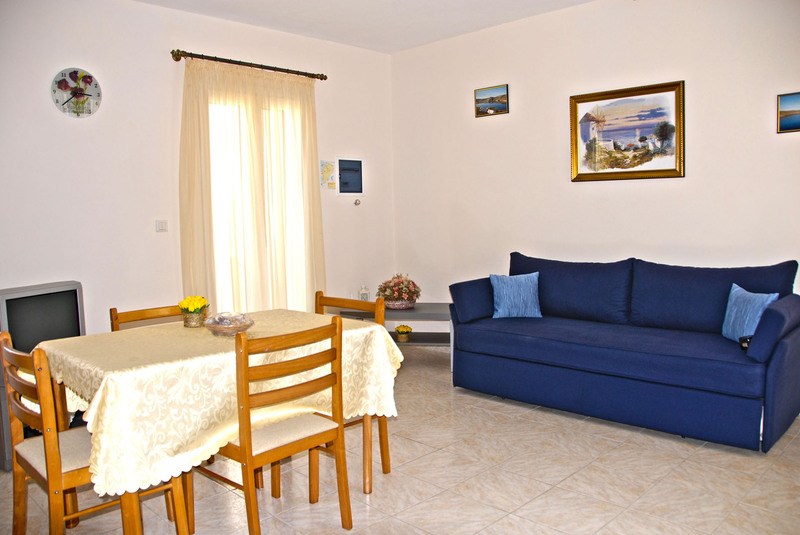 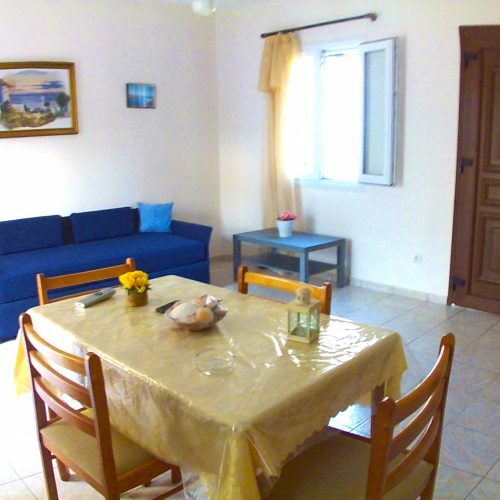 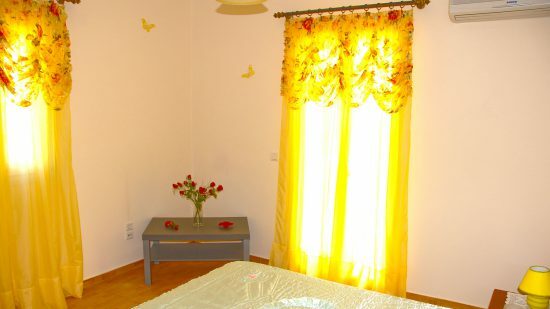 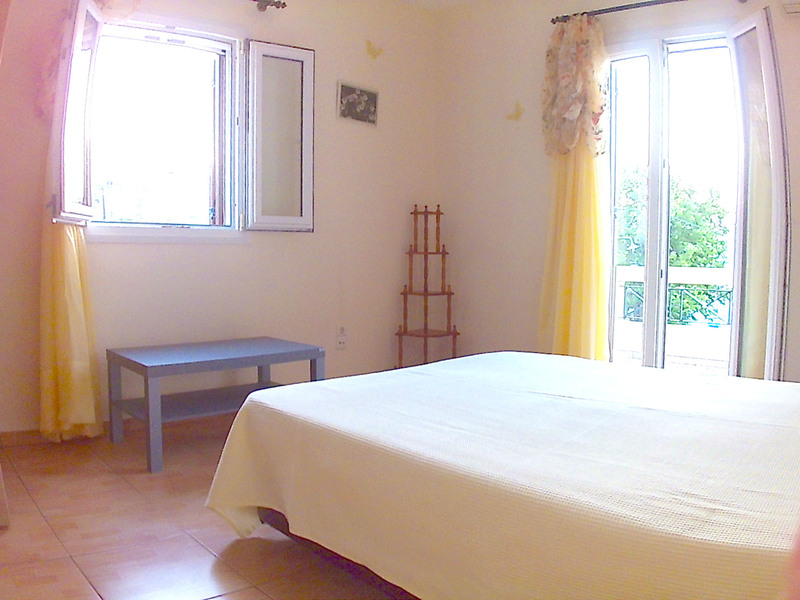 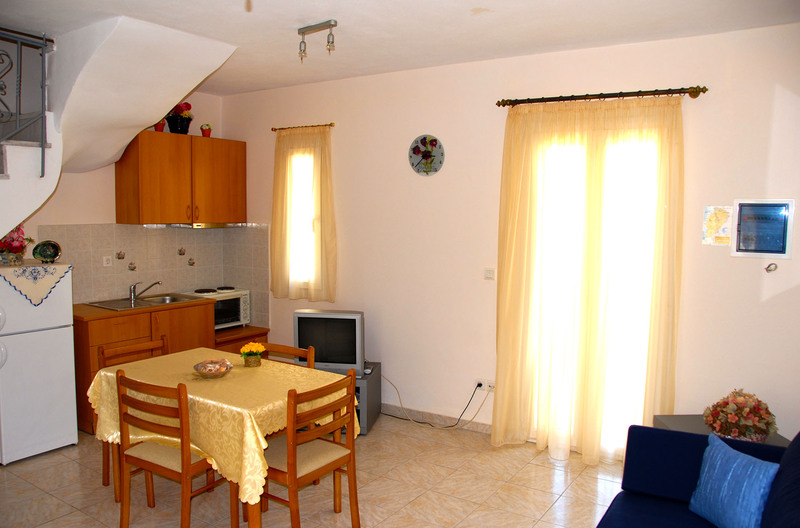 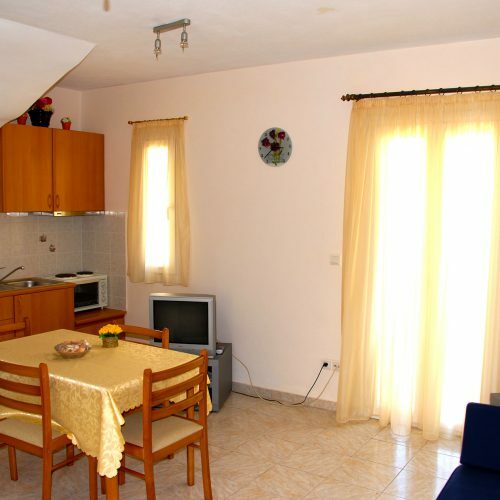 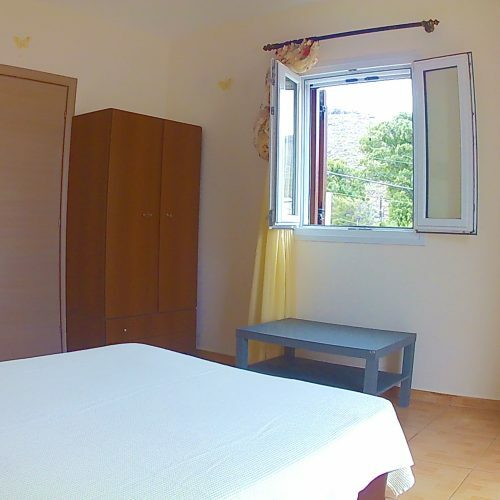 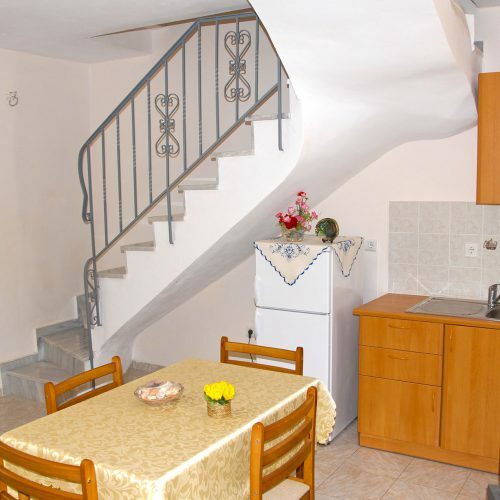 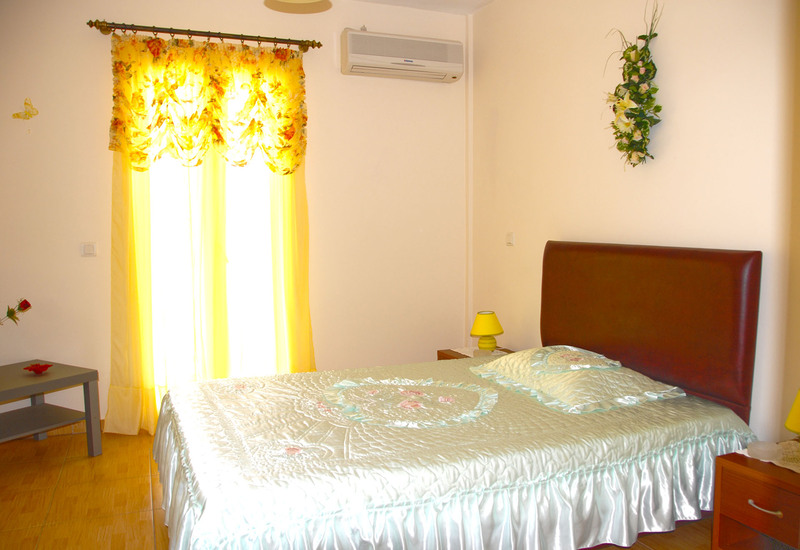 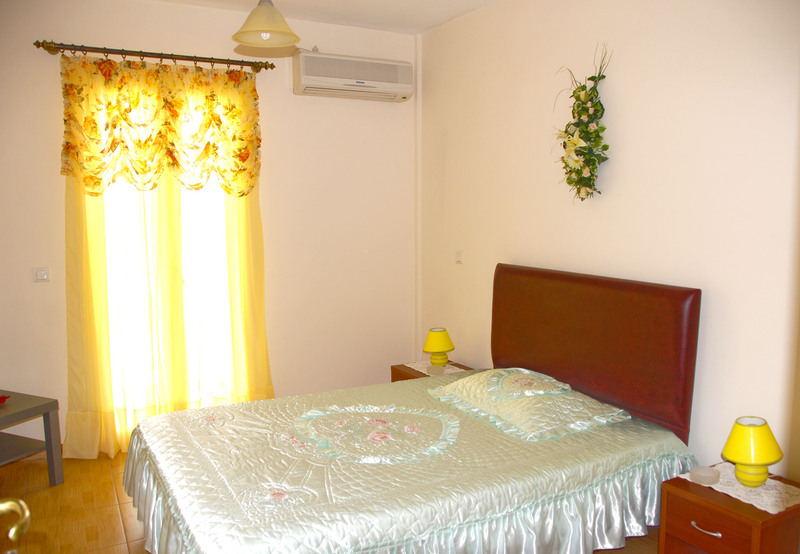 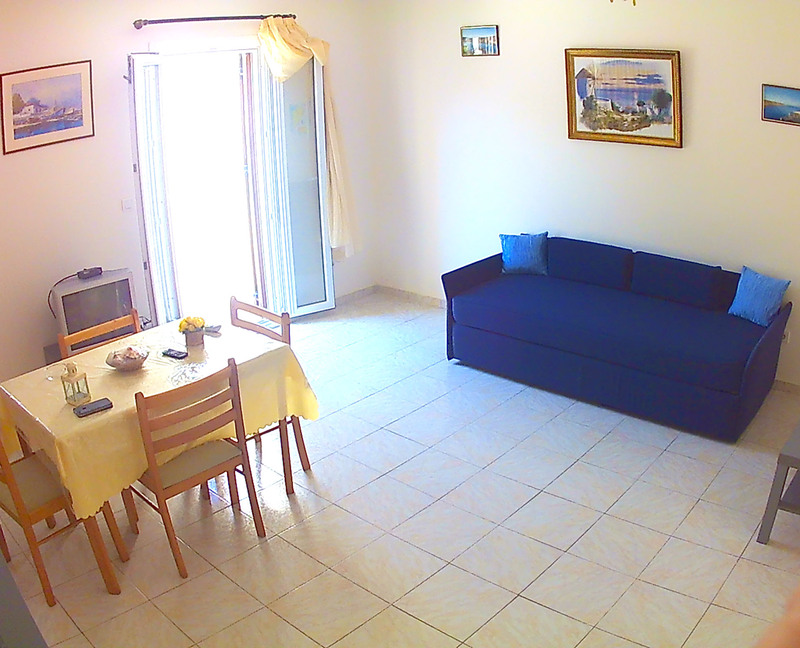 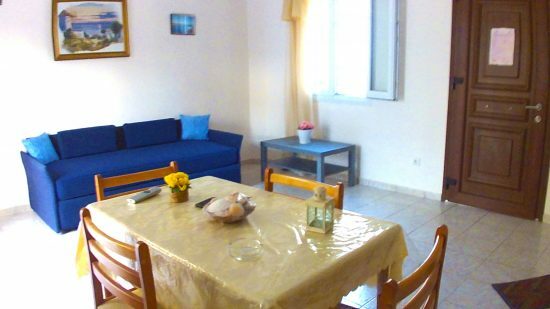 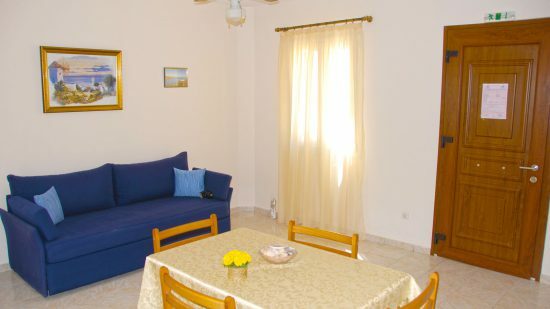 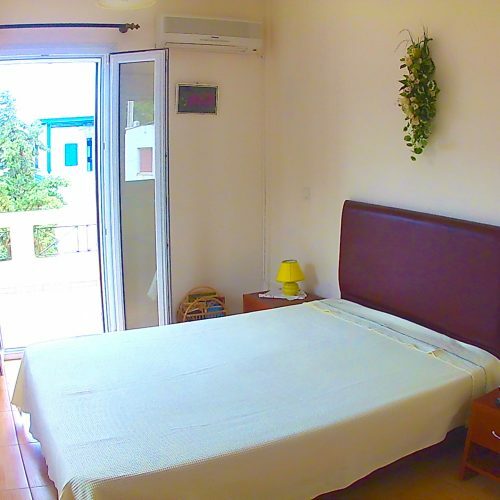 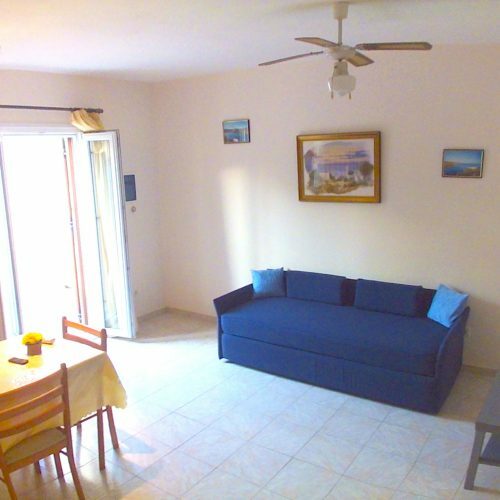 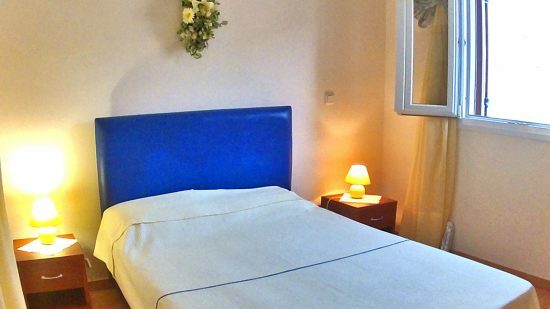 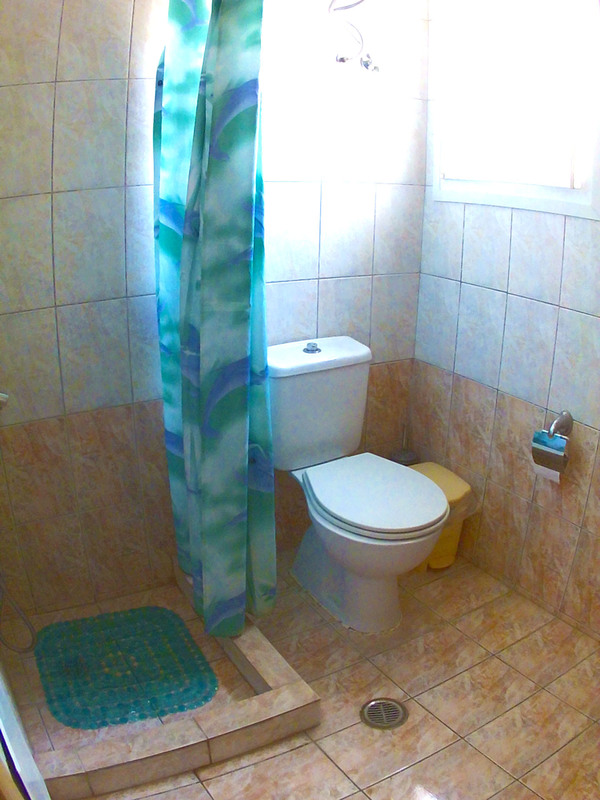 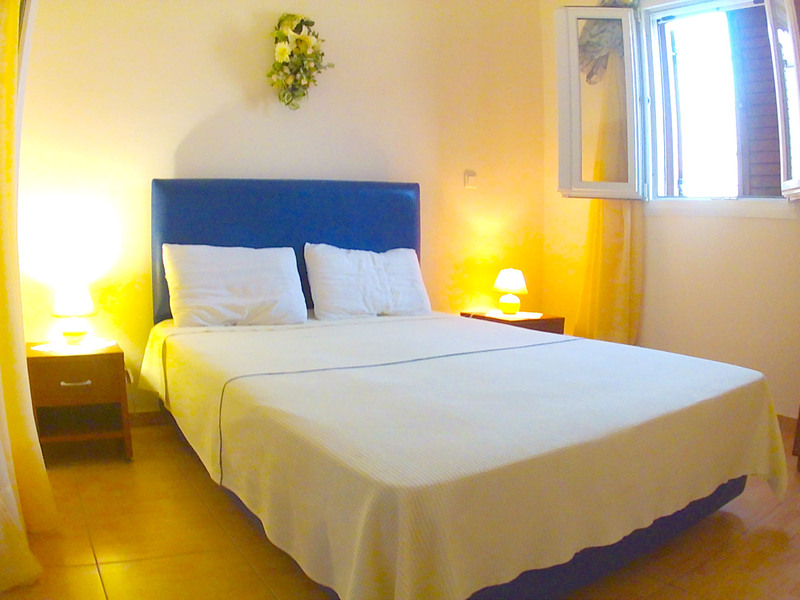 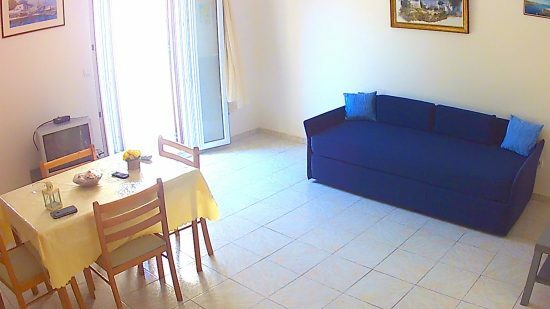 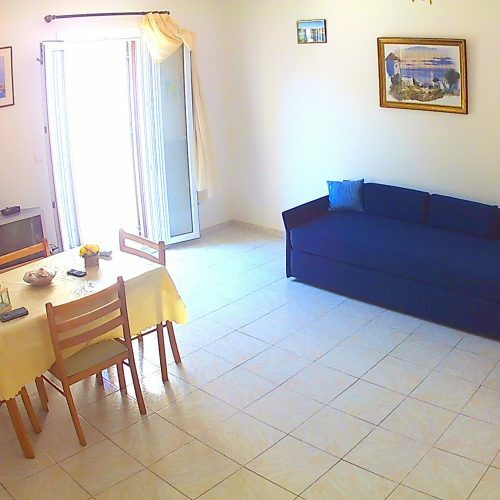 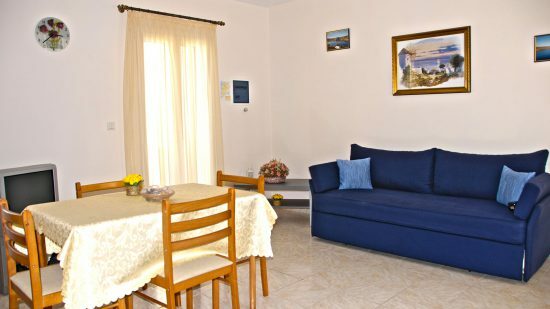 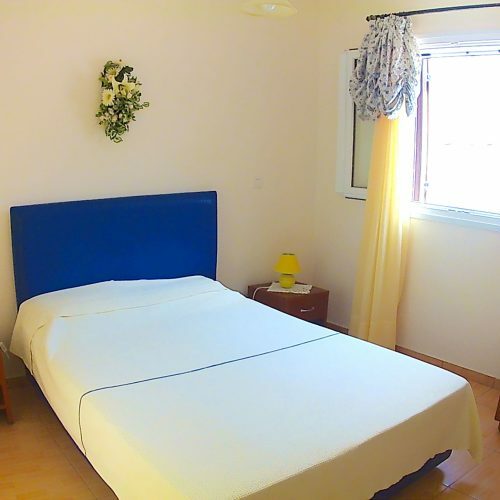 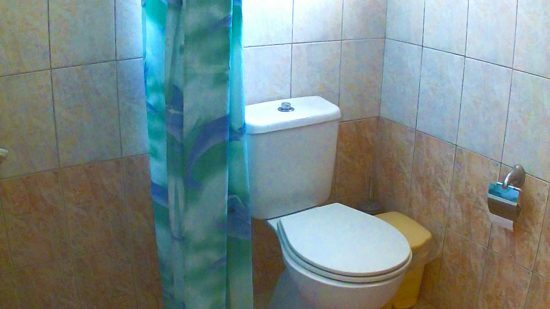 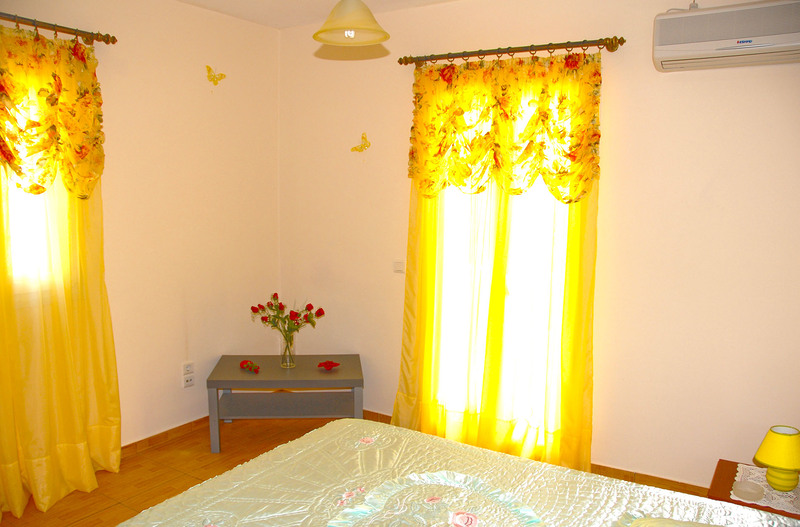 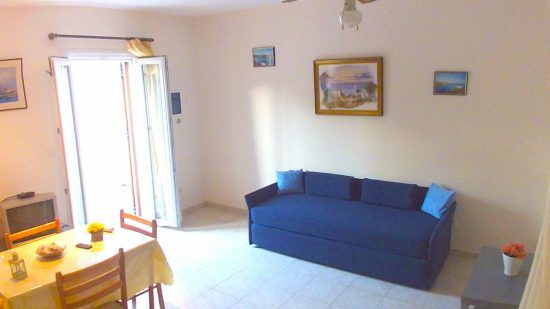 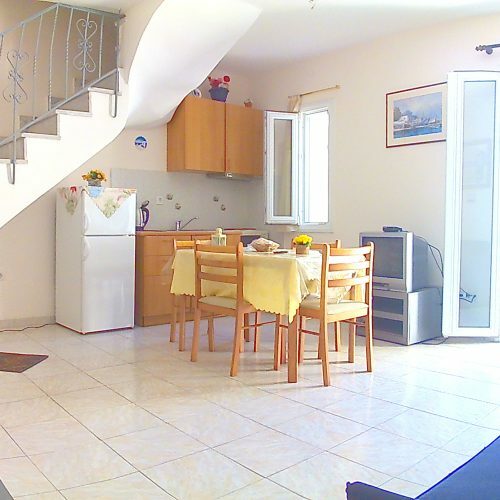 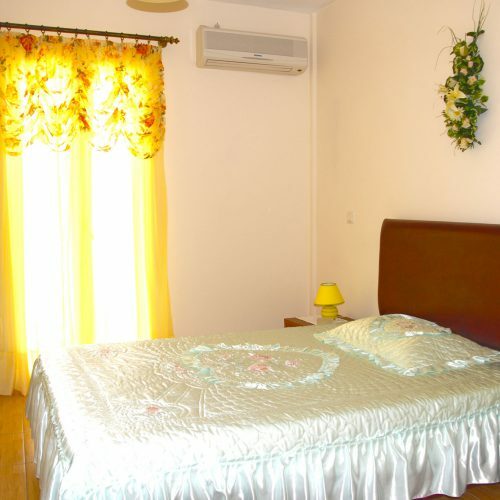 Our large studio is a 2 floor apartment of about 50-60 sqm. 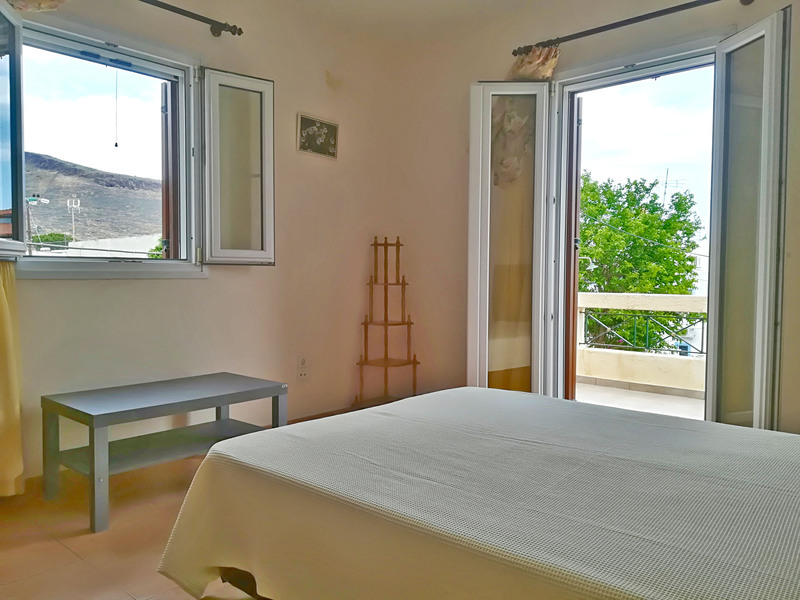 that features an entrance living room with a double sofa that can unfold to be a double bed and a balcony door leading to a private terrace overlooking the accommodation’s central yard and garden. 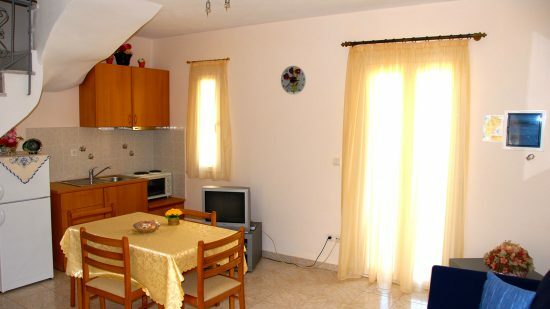 There is a kitchen with a stovetop oven to prepare your meal and a lounge to comfortably enjoy your meal. 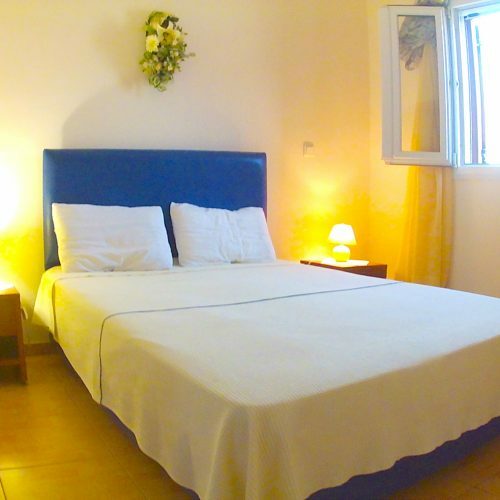 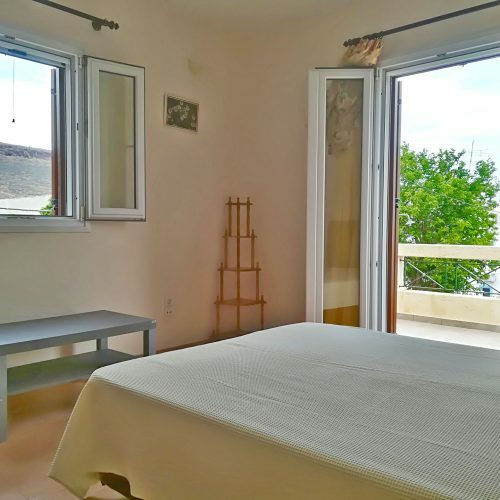 On the second floor there is a double bedroom with air conditioning and a small balcony with view and a bathroom with shower. 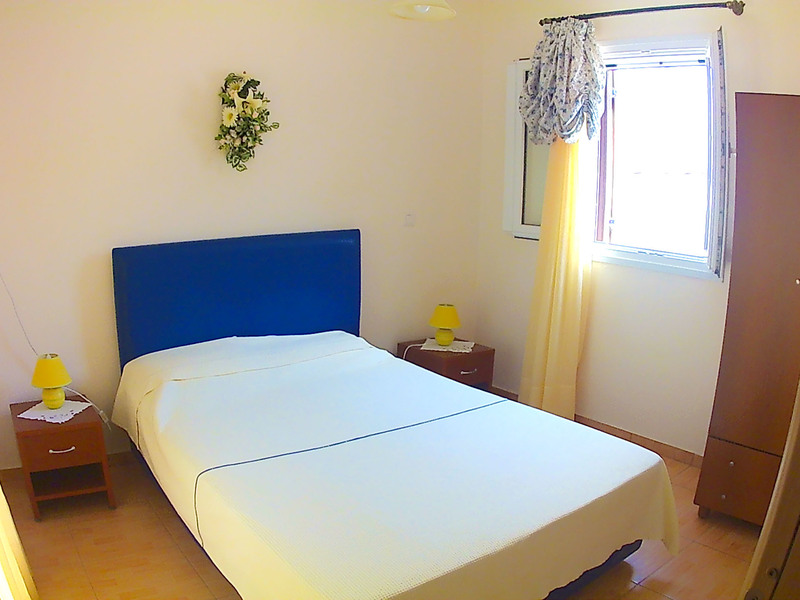 Check-in is at 2:00pm and check-out is at 12:00pm. 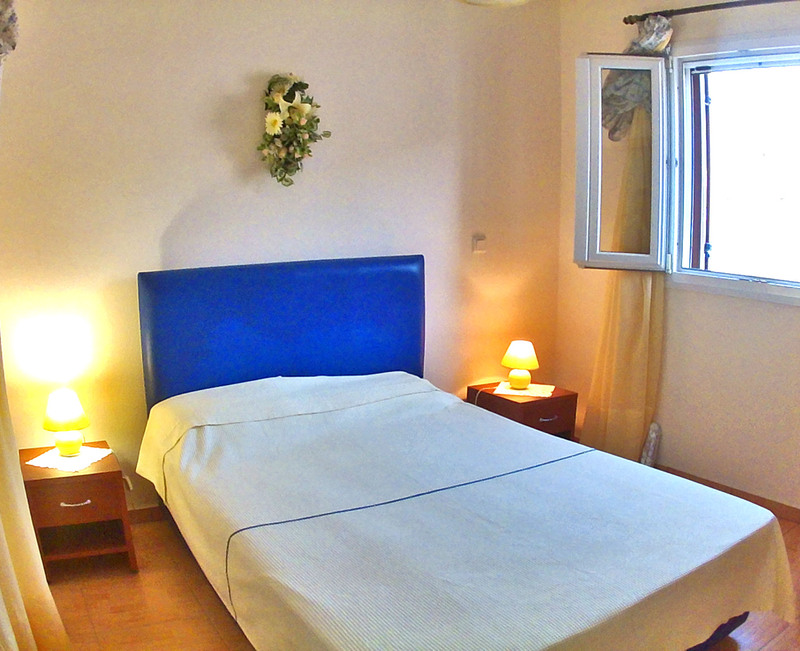 For late check-out please contact us first. 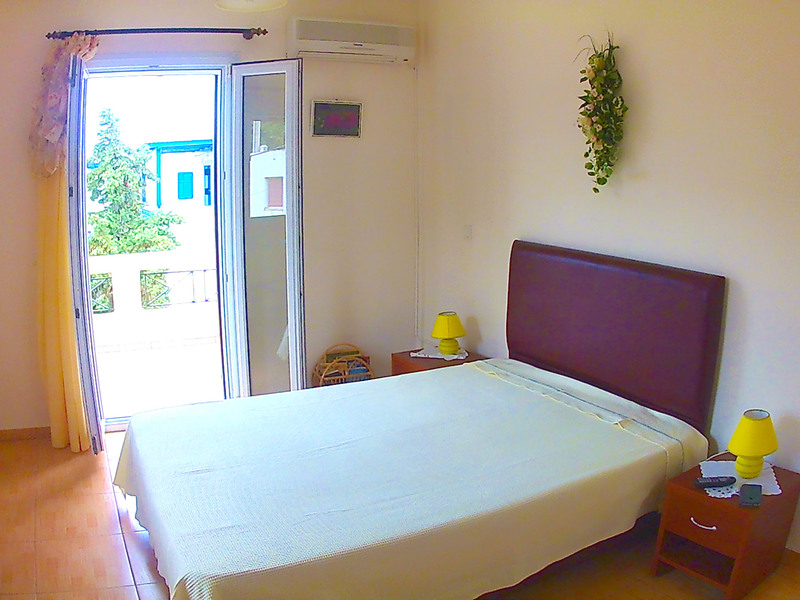 Pickup from the port is only available upon request and availability. 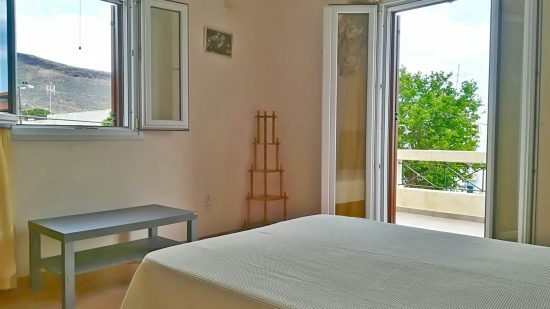 Please email us first. 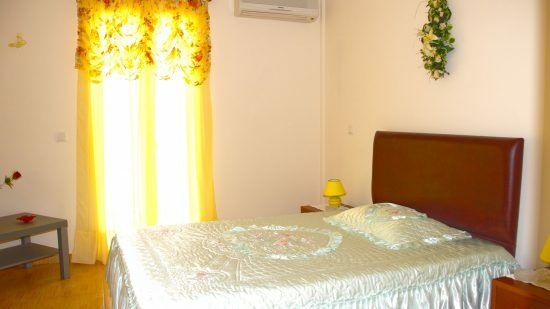 Please make your payment within 3 working days from today. 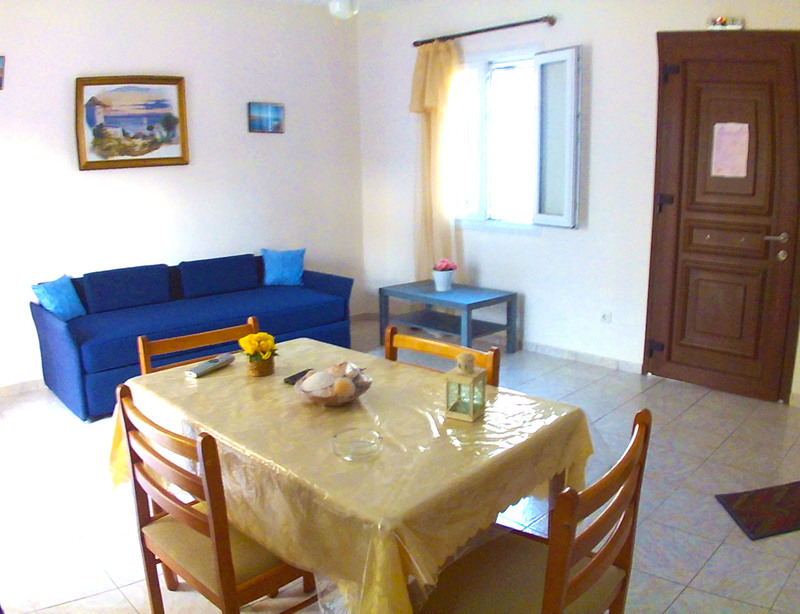 If you have difficulty in paying the deposit please contact us at info@keaholidays.gr or call us at +30 6930798930. 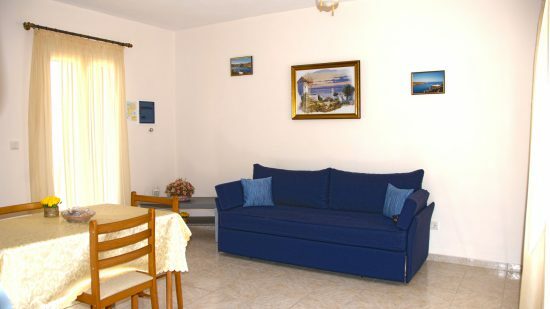 Your reservation will automatically be cancelled if there is no payment or contact from you within this period.